Shoes? nah, just give me a new purse and I'm happy. 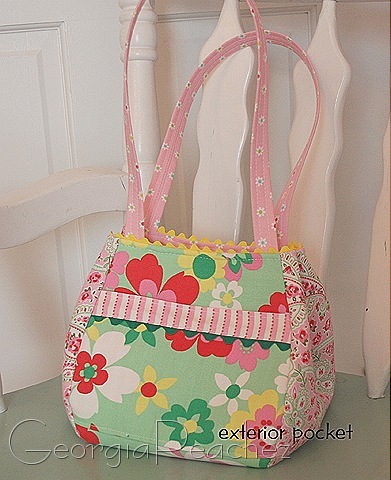 Cath Kidston is one of my all time favs. 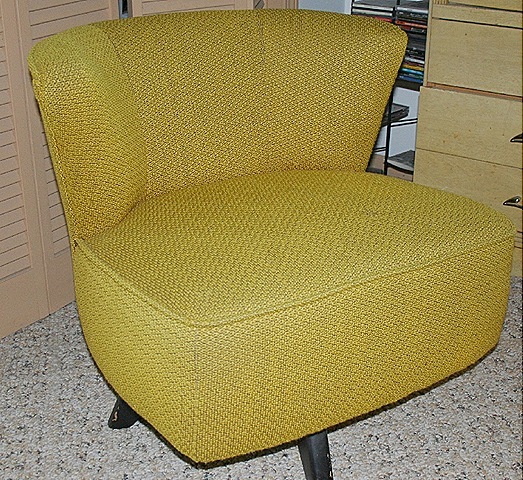 My latest love affair is with vintage upholstery fabrics. 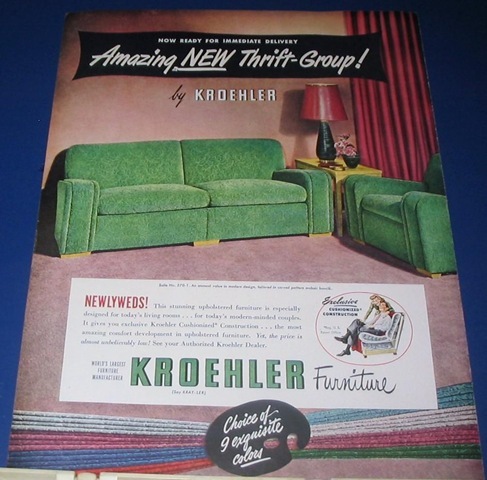 Especially fabrics by the Kroehler Manufacturing Co.
During the 1940's Kroehler was the second largest furniture manufacturer in the country. Kroehler ads from the mid-century are easily found in magazines of the era. I have two chairs in my collection by Kroehler. I am just crazy over these "poodle chenille" fabrics that were produced by Kroehler. 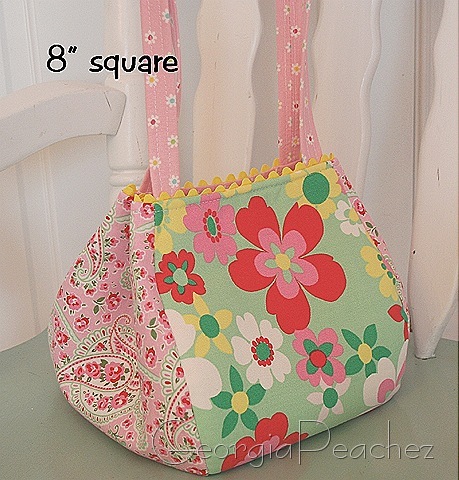 I found a large piece at SuzAnna's this past weekend and I am quite inspired to create some purses. I played around with some vintage metal zippers and old buttons for embellishment to the pocket. Maybe I do need some new shoes now? hmmmmm…. You have such a wonderful knack for creating interesting pieces! Love the new look purses! 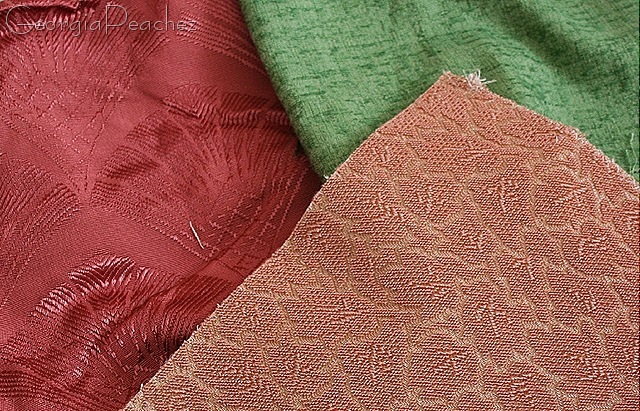 I’ve never even thought of using poodle chenille fabrics for sewing…your ideas are SUPER! 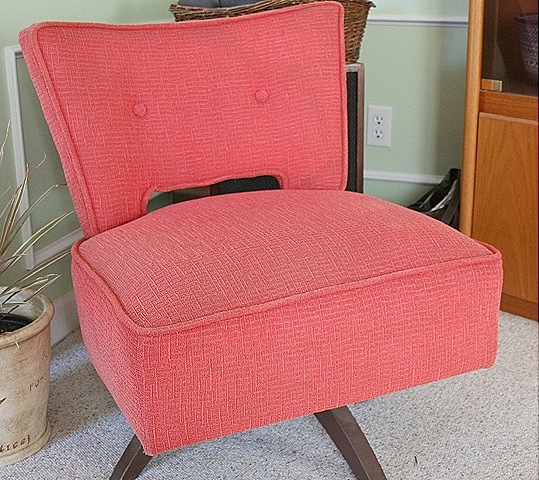 Oh…and I forgot to add that I love your Kroehler chairs! They remind me of the furniture my parents bought when I was a kid. I actually wrote a story about the “misty rose” sofas my mother bought way back when. I’ll see if I can find the story and send it to you. You’ll get a kick out of it I think! You are so creative. The purses are fabulous, esp. the one with the zippers. Great chairs too! I remember those that fabric! If you fell asleep on the sofa, your face had marks on it for hours later!! LOL!!! Beautiful!! I love it all!! Love the bags, Suzy! 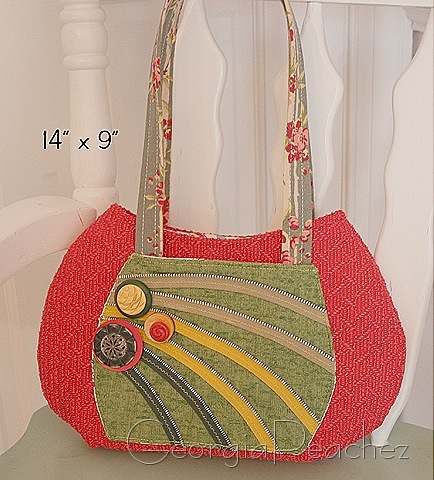 I especially love the zipper embellishment. Awesome! When will the furniture be delivered? The zippers and buttons are really awesome. Nice job! Love your cute bags. And those chairs…….OMG wonderful!!!! OH Suzy! Everything is wonderful but you are KILLING me with that zipper art!! You’re just that clever, aren’t you? BRAVO! Oh that purse is awesome!!! 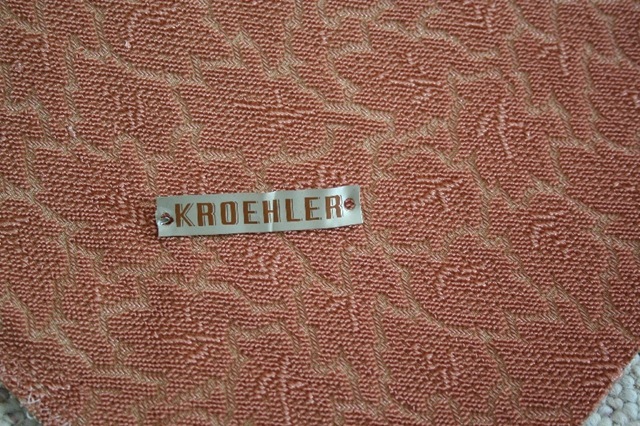 I have an old chair that has the same fabric on it as the one with the Kroehler label on it. That material lasts forever, it’s wonderful. hi Suzie-Great to hear from you! I LoVe these new purses you’re doing-I bet you’re selling lots of them. Say, have you ever tried designing your own fabric on Spoonflower? We have the exact same taste in midcentury furniture too.